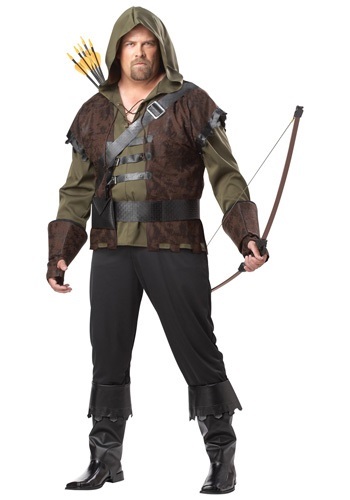 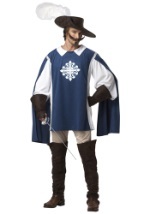 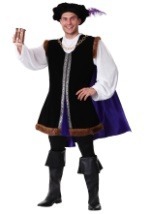 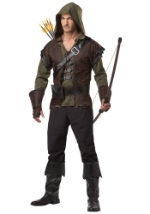 Lead the Merry Men to the best Halloween ever when you go in this plus size Robin Hood costume! 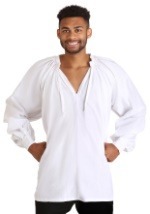 The hooded shirt/vest combo is olive green poly interlock with long sleeves and a front placket laced with brown cord. 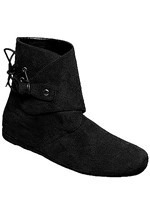 Brown faux suede vest panels are sewn to the side and shoulder seams, and fasten at center front with three faux leather buckled straps. 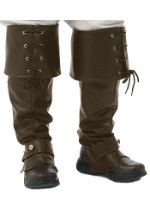 The gauntlets are brown faux suede fingerless gloves with padded and flared forearm guards. 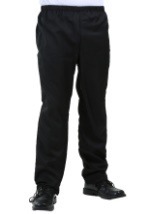 The black faux leather belt fastens with Velcro and has a 4½" x 5" pouch attached. 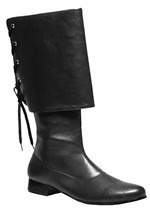 The black faux leather boot covers have wide folded-over cuffs and an elastic band under each foot. 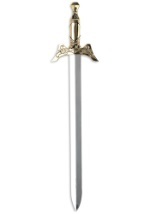 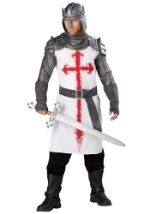 Become a true legend of England when you add our bow and arrow set!